Amazon’s personal assistant/kitchen buddy/media streamer/news updater/joke teller/home controller that is manipulated by voice, the Amazon Echo, is now available for all to purchase at the price of $179. The cylindrical speaker will ship on July 14. Not familiar with Echo? Here’s the story. Echo was introduced in November to Prime members in very limited supply at $99 as a voice-activated assistant that includes a speaker, allowing it to double as a media player in any room. You had to sign-up to show interest in Echo, but Amazon didn’t exactly let you order it right away. At first, they only let you request an invite to purchase and would notify you if selected. Soon after that, they let almost any Prime member order one, with shipping estimates months and months out. For example, Tim and I ordered Echo some time in early January, but neither of us actually received units until last month. So what does Echo do? A lot of the stuff I mentioned in that intro, but it also does a lot more. 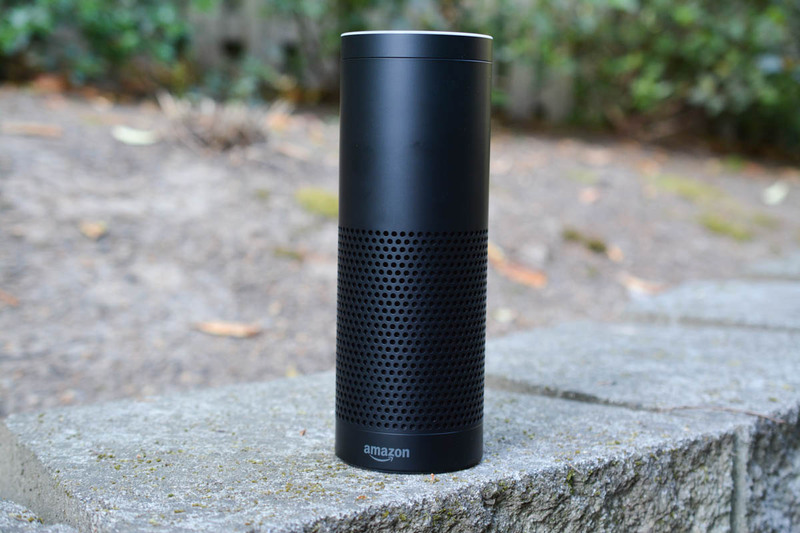 You control Echo completely with your voice by starting commands with, “Alexa” or “Hey, Alexa.” From there, she awakens and is ready to play hits from Pandora, shuffle Raekwon from Amazon Music, set alarms, add items to shopping lists on Amazon, check your calendar (yes, it connects to Google Calendar), and control things around your house (“turn off the lights”), assuming you have the products equipped for Echo to do so. 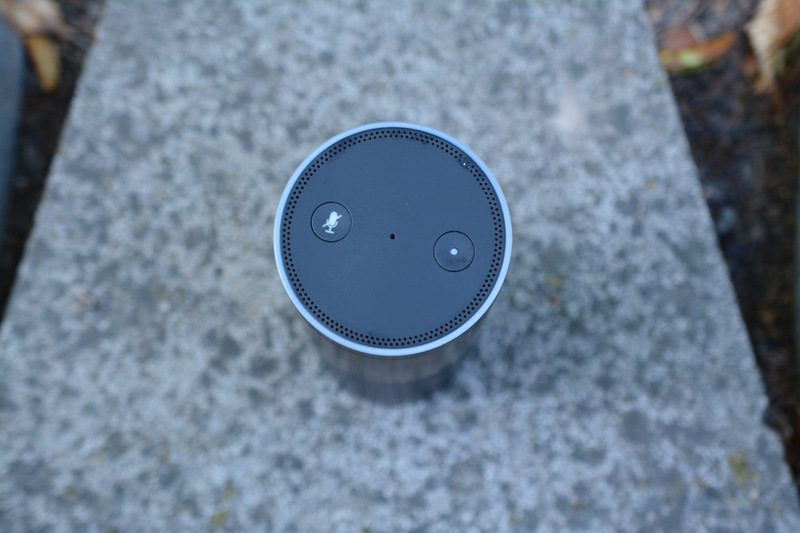 Echo (why aren’t we just calling it Alexa?) can also check in on your favorite sports teams, read books aloud from Audible, answer questions about almost any topic, tell you measurement conversions while in the kitchen, explain weather forecasts, and even connect to IFTTT, opening up its world of capabilities beyond what I have time to list. You can even tell Alexa to turn the volume up or down, skip tracks, etc. It ships with a remote, in case you aren’t as interested in using your voice all of the time. There are companion apps on Android and iOS for setup and that also show you a history of what you have been doing with Echo. At $99, Echo was easily worth the investment. It’s a decent room-filling speaker, has a cool-enough design, and really is perfect when in the kitchen for doing something as simple as running a timer. At $179, it’s still probably worth it. The speaker is far better than most Bluetooth speakers that carry a $199 price, plus it does all of this extra stuff. Not only that, but Amazon is constantly adding new features to it on a monthly basis it seems. So there you go, Echo is now available.